NORTH VENICE, Fla.–(BUSINESS WIRE)– CGI®, part of the PGT Innovations (NYSE: PGTI) family of brands, announced today the launch of Sparta, an all-new, value-custom, impact-resistant window line. 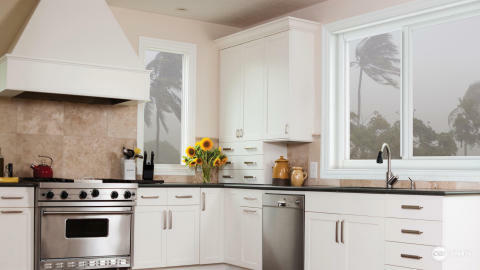 Through extensive market research and careful examination of their product portfolios, industry leader PGT Innovations saw a clear need for an affordable, value-custom, impact-resistant window option for its customers. This research led to the creation of Sparta, an option for homeowners looking to upgrade to impact-resistant windows at an affordable price. With Sparta, homeowners can have 24/7 storm-ready protection for their homes and leave behind cumbersome plywood or storm shutters. In 2017, Hurricane Irma demonstrated that every home in Florida – not just coastal homes – can be impacted by severe weather. As a result, more homeowners than ever began searching for a hurricane protection solution to fit the needs of their home and their budget. Sparta by CGI® will serve homeowners by making 24/7 impact protection available for less. PGT Innovations, headquartered in North Venice, Florida, creates value through deep customer relationships, understanding the unstated needs of an industry, a drive to create the strongest, safest products on the market, and a commitment to always moving forward. The company’s trusted brands include CGI®, PGT® Custom Windows + Doors, and WinDoor®. PGT Innovations is the nation’s largest manufacturer of impact-resistant windows and doors, holds the leadership position in its primary market, and is part of the S&P SmallCap 400 Index. For additional information, visit www.pgtinnovations.com. Our ability to successfully integrate acquisitions, such as our acquisitions of CGI® Windows & Doors Holdings, Inc. and WinDoor®, Inc.
Other risks discussed in our Company’s filings with the Securities and Exchange Commission (SEC), including our Annual Report on Form 10-K for the year ended January 2, 2016, and our subsequently filed quarterly reports on Form 10-Q, which are available from the SEC. You should not place undue reliance on forward-looking statements, which speak only as of the date they are made. The Company does not undertake any obligation to update any forward-looking statement to reflect the impact of subsequent events or circumstances.